Roadrunner Dunes Golf Course in Twentynine Palms is open year-round and fully over seeded in the winter. The 9-hole Roadrunner Dunes course features 3,100 yards of golf from the longest tees for a par of 36. The course rating is 35.0 and it has a slope rating of 115 on Bermuda grass. 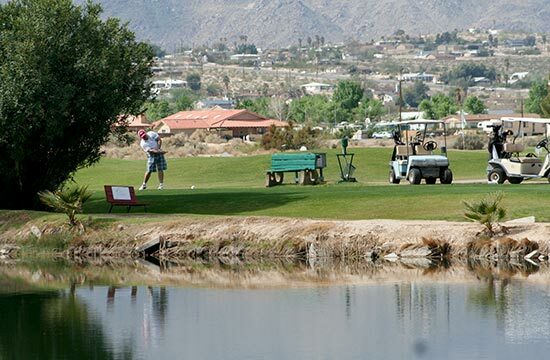 Designed by Lawrence M. Hughes, ASGCA, the Roadrunner Dunes golf course opened in 1964. Steve Rogers manages the course as the Owner. The 9-hole course has water obstacles, sand bunkers, and doglegs. Golfers can enjoy a links style course with a true Par 72 round of golf. Ask about their annual tournaments and special events. The property includes a pro shop, chipping area, putting green, and driving range. Open daily. Roadrunner Dunes is located next to the Twentynine Palms Resort and RV Park www.twentyninepalmsresort.com, which offers an RV park and rental cottages. To arrange a tee time or for more information, call Roadrunner Dunes at (760)367-5770. 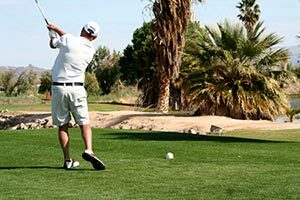 The 18-hole Desert Winds Golf Course is operated by the MCCS and located aboard the Marine Corps Air Ground Combat Center, Twentynine Palms. The 18-hole championship-rated course is open to the public and includes a 24/7 driving and putting range, and clubhouse. 6,908 yards of golf from the longest tees for a par of 72. The course rating is 72.7 and it has a slope rating of 121. 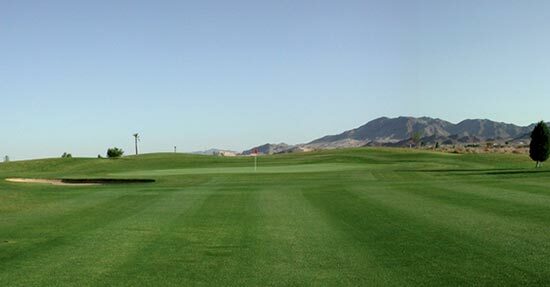 Designed by Jeffrey Young, the Desert Winds golf course opened in 1966. Rental carts and clubs are available. Golf Cart Rental: $7 for single rider or $10 for double riders ($5 per person). The Pro Shop: Grips are available, prices range from $6 – $28. Gripping is $2. The shop carries a wide range of accessories and clubs. Desert Winds is also available to host golf outings. For your food and beverage needs, head into the clubhouse for a quick delicious lunch or hearty snack from the Sand Trap Grill, open Friday through Sunday. Open daily 6 a.m. to 6 p.m. Twilight golf starts at 3 p.m. on days of operation (changing seasonally and with daylight savings time). The Driving Range and practice areas are open 24 hours daily with night lighting. Call for more information: (760)830-6132.